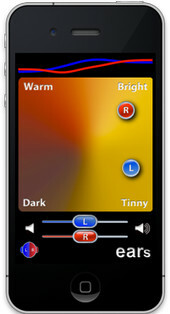 EARs, Other software for iPhone / iPod Touch / iPad from Ear Machine. 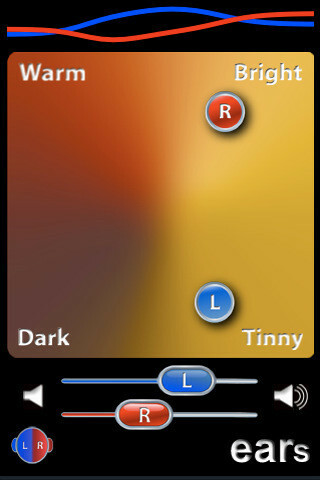 Ear Machine has announced the release of EARs, an app that turns an iPhone or iPod touch into an hearing aid. With EARs, users can manipulate the tone of the sounds around them by dragging a single dot around the screen. Sonic Drive Dubstep Combinator Presets Sonic Drive Media has announced the release of Dubstep Combinator Presets for Propellerhead Reason, a new collection of patches for dubstep music. Steinberg LoopMash App Steinberg has released LoopMash, a virtual instrument designed to present you with a new way to blend up to four two-bar loops together by juggling similar elements across looped beats and tunes. Simple Is Beautiful DrumTrack HD DrumTrackHD is now available at the App Store, and will be participating in Musikmesse in Hall 5.1 stand D82 as part of the AudioCopy network with Sonoma Wireworks.